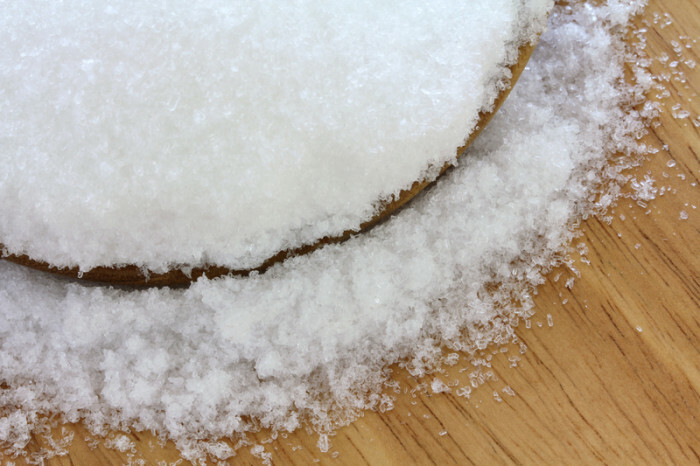 Magnesium sulfate, more commonly known as Epsom salt, has a variety of medicinal properties. Learn more about these diverse Epsom salt uses, which range from relieving constipation to preventing pregnancy complications. Epsom salts can be useful for a variety of purposes, including medical ones. Magnesium sulfate, also known as Epsom salt, is a naturally occurring mineral that contains both magnesium and sulfur, both of which are essential for many functions in the body. Low magnesium can contribute to diabetes, raise your risk of cardiovascular disease, and may cause muscle weakness or pain. [1,2,3] Sulfur helps with conditions like rheumatoid arthritis and allergies. Epsom salt uses include both medical treatments and commonly used home remedies. Correcting arrythmia, or irregular heartbeat. Magnesium sulfate helps to stabilize the membrane potential in heart cells, helping to regulate the conduction of signals that tell the hear to beat. Treating tetanus by controlling rigidity and spasm in mild tetanus cases. This is likely due to its ability to inhibit neural transmission, helping to effectively sedate the muscles. Preventing and treating eclampsia, a condition that causes seizures in the mother during or after pregnancy in the mother. Magnesium sulfate reduces the risk of seizures by 50%, which also reduces the risk of maternal mortality significantly. Epsom salt can also be purchased at most grocery or drug stores and used at home. It can be taken orally, dissolved in a glass or water, or else prepared as a bath to soak in. These home remedies are likely useful because they increase magnesium and sulfate levels in the body. Although there is some debate over whether or not magnesium sulfate can be absorbed through the skin during a bath soak, initial evidence exists that suggests it can. Dr. Rosemary Waring, with the University of Birmingham, did a study that showed that both magnesium and sulfate levels increase in most subjects after soaking in Epsom salt baths. However, this work is not yet published in a peer-reviewed journal, and more work is necessary to validate the results. 1. Constipation. Possibly the most well-documented Epsom salt use is treating constipation. Magnesium sulfate is a potent laxative. It helps waste to move quickly through the small intestine and promotes water movement into the intestinal tract, which facilitates the flow of food through the digestive system. To treat constipation, drink a glass of water with 15 g (roughly 1 tablespoon) of dissolved Epsom salt. Be sure to purchase Epsom salt that is labeled safe for ingestion. Expect to see effects between 30 minutes and 6 hours after use. Be sure to drink plenty of water during this process. 3. Skin problems. Bites, stings, sunburns, poison ivy, rashes, and acne may all benefit from Epsom salt. Although clinical studies are lacking, anecdotal reports testify to the effectiveness of either a bath soak (try adding 2 C to a standard-sized bath) or a cold compress of Epsom salt water (2 tablespoons per cup of water, applied with a washcloth to affected area). 4. Muscle pain. Many people attest to the wonders a bath in Epsom salt water can do for your sore muscles. Soaking in a bath with 2 C of Epsom salt mixed in can help to alleviate pain and soreness, and can help heal sprains and bruising. 5. Splinters. Soaking the skin in Epsom salt water can help to draw a splinter out of the skin for easier removal. Magnesium sulfate can be toxic if used over the recommended dose. Read labels carefully and consult with your doctor when ingesting. When using either orally or as a soak, make sure to drink plenty of water to stay hydrated and keep your body healthy. What are your favorite Epsom salts uses? Do you have experience using Epsom salts for various health conditions? Share your tips in the comments section below. Eur J Pharmacol. 2007 Apr 10;560(2-3):201-5. Int J Cardiol. 2003 Jun;89(2-3):153-8. Altern Med Rev. 2002 Feb;7(1):22-44. Anaesth Intensive Care. 2010 Jan;38(1):185-9. University of Birmingham. 2004. 1-3. Aliment Pharmacol Ther. 2000 May;14(5):587-95. Life Sci. 2011 Jan 17;88(3-4):194-200. Medline Plus. U.S. National Library of Medicine. 2014. Originally published in 2014 and updated. 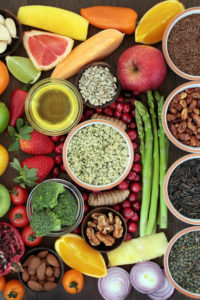 acne, allergies, arthritis, cardiovascular, cardiovascular disease, constipation, diabetes, digestive, epsom salt uses, food, health, home remedies, low magnesium, magnesium, magnesium deficiency, mortality, muscle, muscle pain, pain, poison ivy, rheumatoid, rheumatoid arthritis, skin, sore muscles, studies show. Very good and practical article. I also heard another good tip is get out of the Epsom salts bath BEFORE the water cools so that the toxins excreted in the bath do not re-enter your body… not sure if that is true but I thought I would mention it. Will epsom salts lower cholesteral?